A pocket diaper has an opening between the outside waterproof cover on the diaper and the layer that touches the babies skin. You place absorbent inserts inside this opening. Pocket diapers are my favorite for night time diapering because you can easily up the absorbency. They are also great for older babies and heavy wetters. Pocket diapers are super easy to use. Pocket diapers and all in ones are my go to’s for caregivers who aren’t to sure about cloth diapering because of their ease of use. As long as you have them pre-stuffed all the caregiver has to do is put it on and take it off just like a paper diaper. 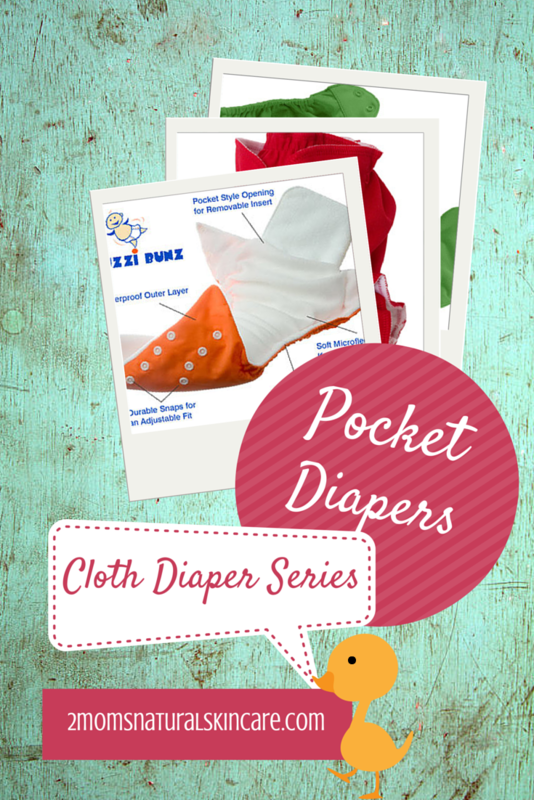 Pocket diapers are also great because they have a much faster drying time than AIO’s. This entry was posted in Cloth Diaper, Kids.